It was a knowledgeable London friend of mine who told me about this little historic gem in Parliament. The English Civil War was a time of turmoil that saw the regicide of Charles I and the installation of Parliamentary rule under Oliver Cromwell. Charles’ son reclaimed the throne after Cromwell died but there are two relics that talk to this divisive event in English history near the Palace of Westminster. 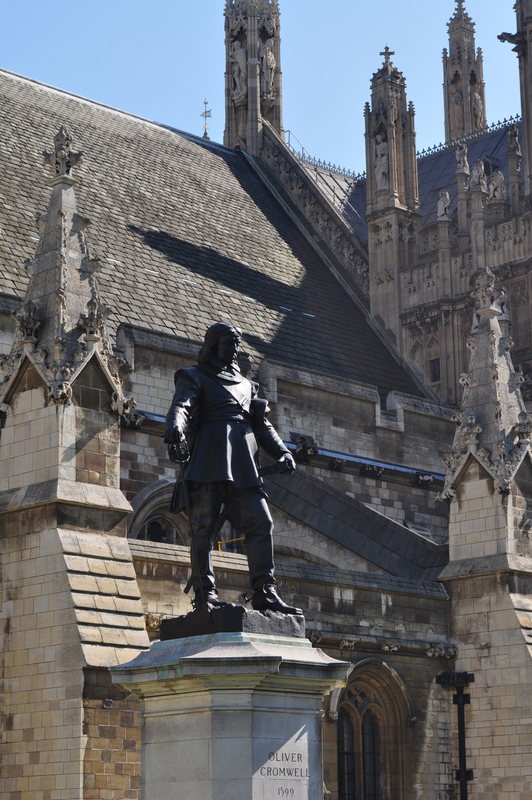 By the Houses of Parliament, stands a pensive Oliver Cromwell, looking down. Across the road, in a niche at St Margaret’s Church, is a statue of the King himself, calmly staring back at him, the head only, accusing his enemy of his treachery – a perpetual memory to this hiccough in royal rule. It’s almost as if Cromwell is unable to meet Charles’ accusatory gaze. Cromwell ruled as Lord Protector from 1653 to 1658 and this statue was erected in 1899 to celebrate the tercentenary of Cromwell’s birth. When he died, he was buried at Westminster Abbey but on the accession & Restoration of Charles II, he was exhumed, hanged at Tyburn and his head was stuck on a spike on the roof of Westminster Hall. It stayed there some 20 years before being retrieved and buried in Sidney Sussex College, Cambridge. Charles I was beheaded at the behest of Parliament on 30th June 1649 at the Banqueting House, Whitehall. He is buried in a vault in the Chapel of St George, Windsor. 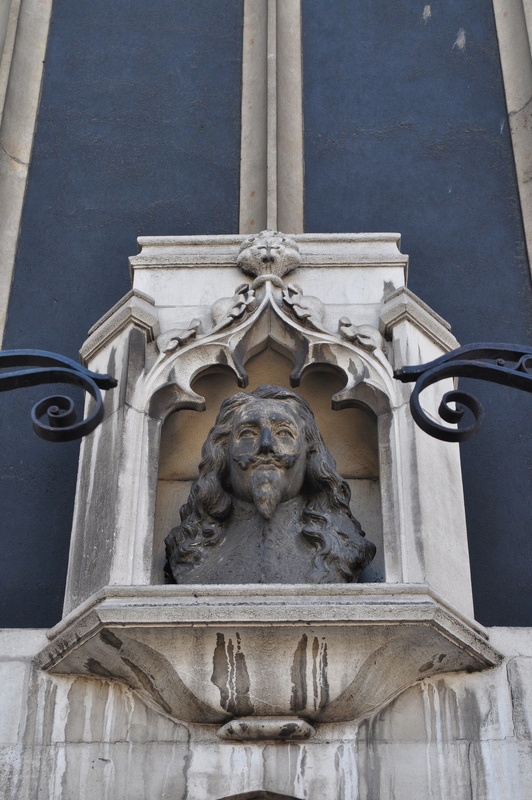 This bust of Charles I was found by Hedley Hope-Nicholson and given to St Margaret’s Church in 1956.